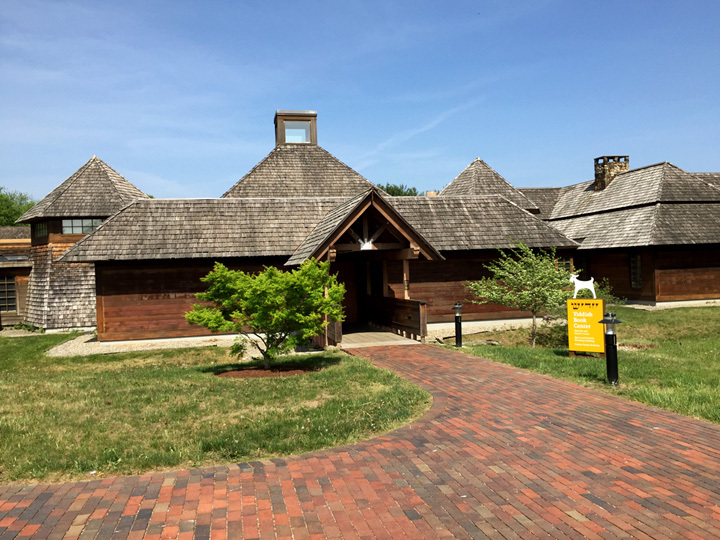 On May 18, 2015, accompanied by my sister Robin and brother-in-law Jim, I finally had the opportunity to visit the Yiddish Book Center in Amherst, Massachusetts. For years our family had admired and supported the work of Aaron Lansky, founder and president of the Yiddish Book Center. In January 2006, we had the privilege of attending a luncheon with Aaron in Durham, North Carolina, while he was promoting Outwitting History: The Amazing Adventures of a Man Who Rescued a Million Yiddish Books. 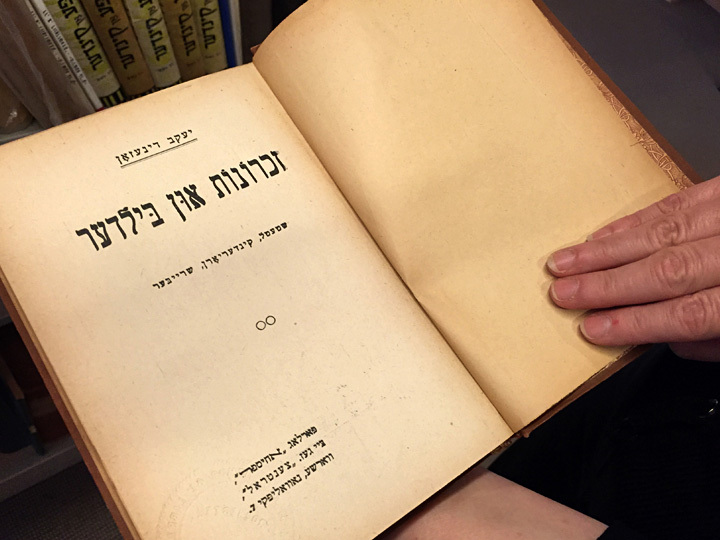 Robin shared with him our early efforts at having Jacob Dinezon’s Yiddish works translated into English. 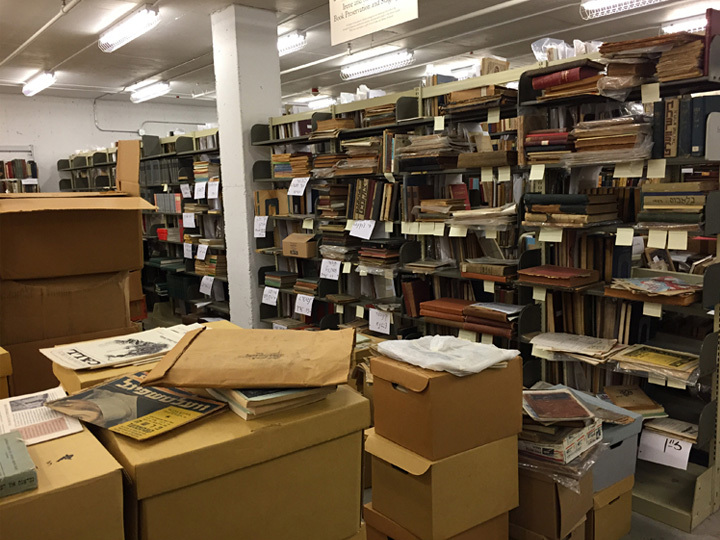 We had obtained Dinezon’s original books from the Yiddish Book Center three years earlier. 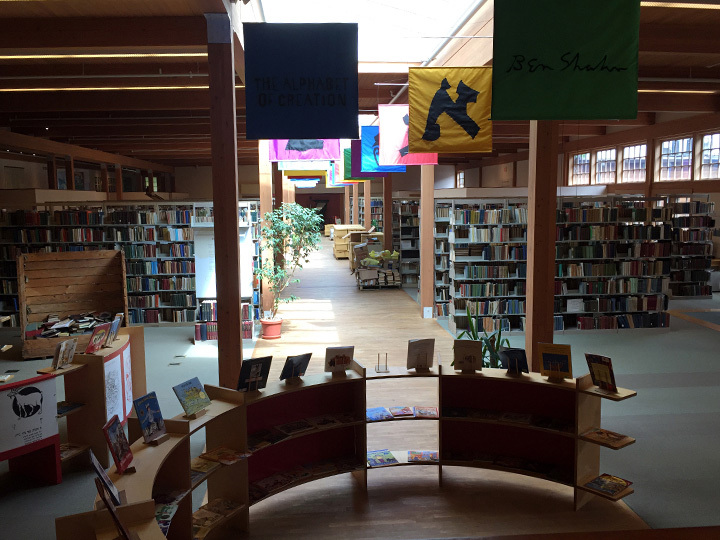 When you first arrive at the Yiddish Book Center, you feel like you’re coming upon a building in an Eastern European shtetl. Yet when you walk inside, the space is open, bright, and filled with light. Although Aaron Lansky wasn’t there (he was off working on his new book), we were greeted by Sarah Bleichfeld, the visitor services coordinator. Then our tour guide, Zeev Duckworth, led us through the sunlight-dappled book stacks, exhibition rooms, classrooms, lecture hall, theater, and “vault”—the climate-controlled storage area housing duplicate books, crumbling Yiddish newspapers, pamphlets, sheet music, and unsorted boxes filled with tattered publications and memorabilia. 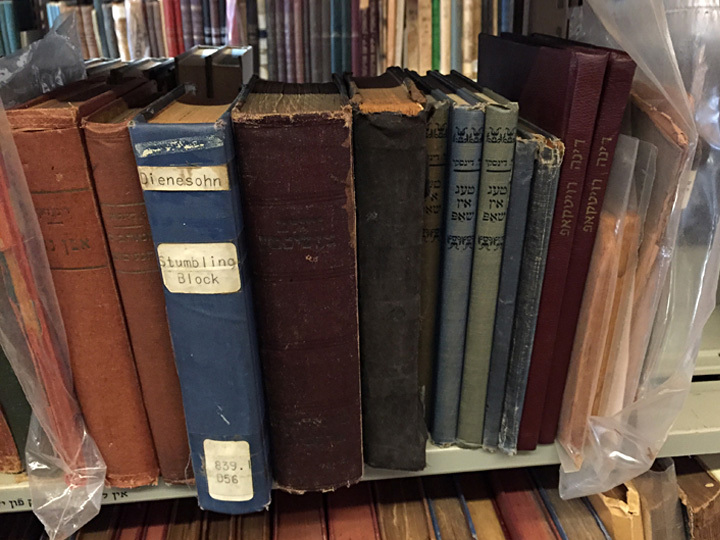 Frankly, the scope of the work that the staff and volunteers have accomplished over the past 20-some years—preserving old Yiddish books, building a facility to house them, digitizing and making them available internationally on the web, and continuing to find ways to make Yiddish relevant to people who no longer read or speak it—is truly mind-boggling and awe-inspiring. For me, discovering the shelves where Jacob Dinezon’s books are located was a very moving moment. We found the Yiddish version of Memories and Scenes there, and many more novels in need of translation. The other great moment was seeing our English translation by Tina Lunson on a rack outside the Center’s gift shop. This had always been our great hope: to have a collection of Jacob Dinezon’s stories that could stand on a bookshelf beside the English-translated works of his great friends, I. L. Peretz and Sholem Aleichem. 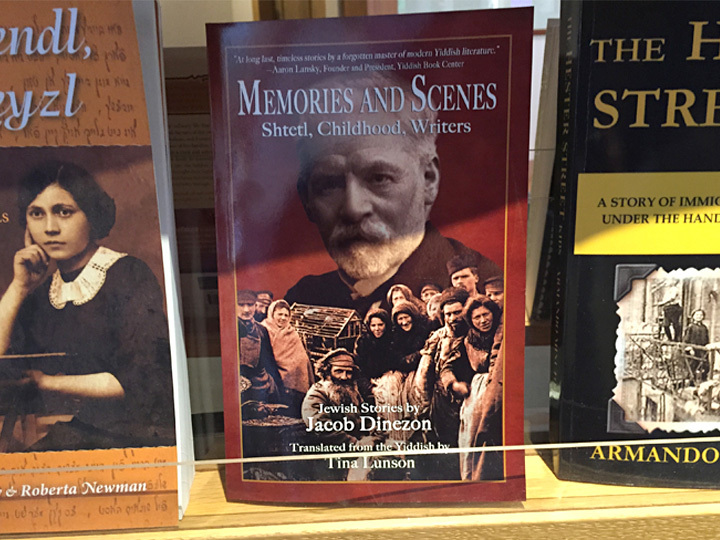 Seeing Memories and Scenes on display at the Yiddish Book Center was truly a dream come true.